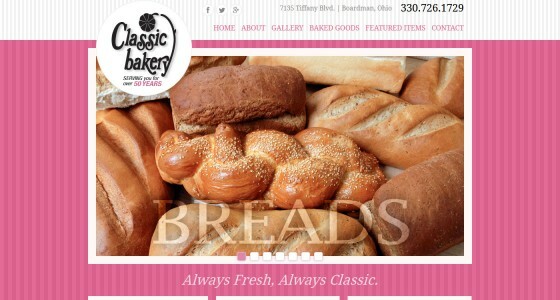 Classic Bakery has been a Youngstown family tradition for over 50 years, with recipes that have been handed down from generation to generation. They specialize in the freshest breads, pastries and specialty cakes in the Mahoning Valley, and are also the first stop for holiday baked goods and special event cakes and goodies. 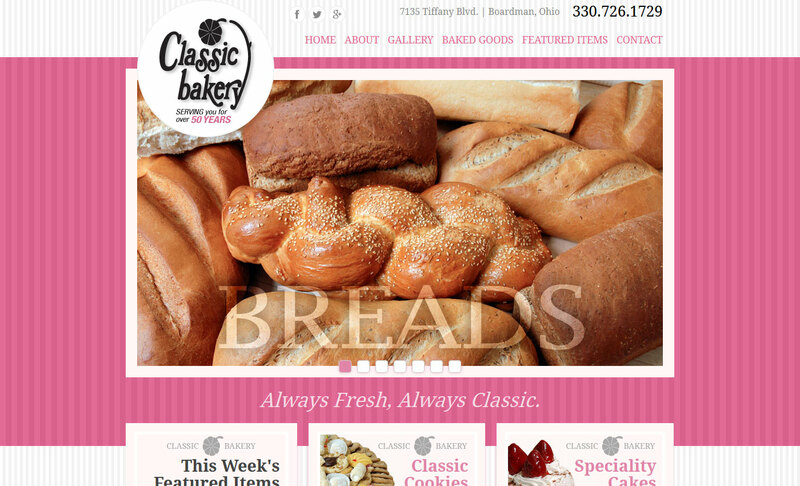 Farris Marketing created a brand new website for Classic Bakery that lists all of their many offerings. Farris also supervised photography and created a gallery that displays their delectable baked goods in all of their mouth-watering glory.